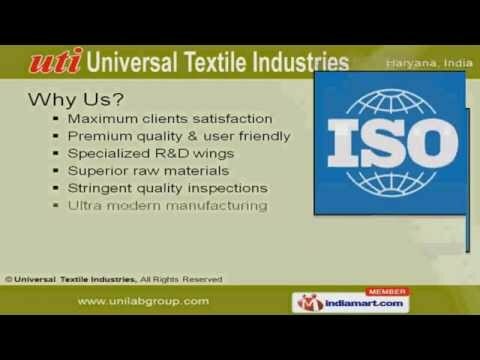 Welcome to Universal Textile IndustriesManufacturer & Exporter of Testing EquipmentsWe are an ISO certified company, established in 2007 at Faridabad. We cater to varied requirements ofTextile, Rubber & Plastic across global markets. Maximum client satisfaction, Specialized R& D wings & superior raw materials are some of the keyfeatures of our organization. Our product range includes Textile, Plastic, Rubber, Leather & Footwear Testing Equipments. We offer wide array of Textile, Fibre & Yarn Testing Equipments that are available at industry leadingprices. Our Plastic & Rubber Testing Equipments are well known for their high performance. We provide Leather & Footwear Testing Equipments that are available in customized specification. Along with that we offer Spinning Accessories & Equipments that are one of the oldest and effectiveequipment used in various industries. Our Yarn Dyeing Machines that are fabricated from high grade raw materials.